This catch-all term can include hundreds of chemicals and trigger allergic reactions. Skip products that use the term “fragrance” in the list of ingredients and instead opt for those that list each fragrance ingredient. Ingredients can have harmful contaminants: Many common ingredients can contain impurities linked to cancer and other health concerns. So, on the one hand, there was the suggestion that fragrance may be bad for embryos, and possibly therefore the reproductive system, by extension. On the other hand, there’s a concern about non-reproductive organ toxicity. I also read discussions on several other blogs I follow about the dangers of undisclosed fragrance ingredients in common beauty products. In the interest of full scientific analysis, I decided that the best thing to do with confusing information was buy something. I settled on several samples from Strange Invisible Perfumes, which uses only natural botanical essences in its perfumes and gives them beautiful and vaguely pretentious literary-inspired names. What better antidote could there be to Circus Fantasy than Fair Verona or Tosca? I told my husband of my purchase, both 1) as a start to a discussion and 2) to minimize the impact when the bill came in. “Aren’t all high-end perfumes made from only natural fragrances?” He asked. Good question. It turns out, they aren’t. 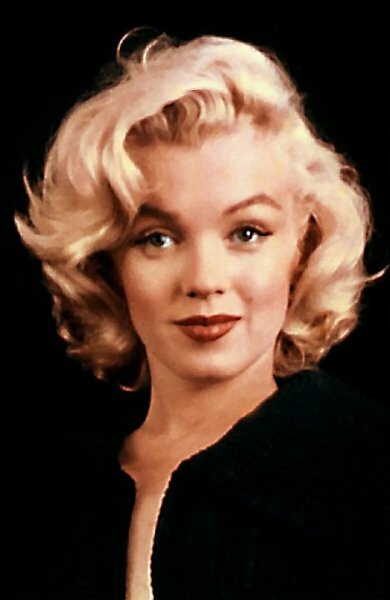 According to this New York Times article by Chandler Burr, “not only do all Chanel perfumes contain synthetic molecules, but also every great scent, from Armani to Gaultier to Lauren, is built on them.” The article goes on to praise the use of synthetics in perfumes and imply that good modern perfumes would be impossible without them. Anecdotally, while the Strange Invisible Perfumes I ordered are quite nice, and do feel incredibly luxe and natural, they were outrageously expensive, and, in my opinion, don’t quite measure up to my classic old synthetic perfumes. What to do? How bad are fragrances, really, from a health standpoint? Is it possible that this is one area in which synthetics actually are preferable? It’s admittedly hard for me to wrap my mind around an imitation of something great being better than an original. Perhaps not all categories are created equal, though. This winter I began a serious decluttering mission. I donated three large bags of clothing and one large bag of household items, resulting in a far more streamlined closet and clothes drawer and a feeling of having lost a lot of psychic weight. I have fantasies of owning the perfect capsule wardrobe and being able to throw together an effortlessly chic outfit like Bea at Zero Waste Home, but for now I’ll settle for the ability to find my shoes in the morning. I’m trying to reconcile my desire to streamline with my love of thrift store shopping. It’s very hard to stem the tide of acquisition when you find half a dozen beautiful $25 widgets for $3 apiece. To be honest with myself, though, I enjoy the thrill of the hunt far more than the actual acquisition. The large bag of household objects that I donated contained at least two items that I’d bought at the thrift shop and was donating back with the price tag still attached. While perhaps good for the thrift shop, this is not personally satisfying. I’m working on engaging in the act of shopping as often as I want without actually buying much. My new mantra is, Shop constantly, buy almost nothing. So far, it’s helping me control my trigger finger quite a bit. A DevaCurl hair dryer, new in box and very well priced at $15. I am a curly-haired Deva devotee, and was sorely tempted by this one. Fortunately, I reminded myself in time that I NEVER ACTUALLY USE A HAIR DRYER, or I would have been the proud owner of a $15 dustcatcher. The shopping trip was not a total wash, however. 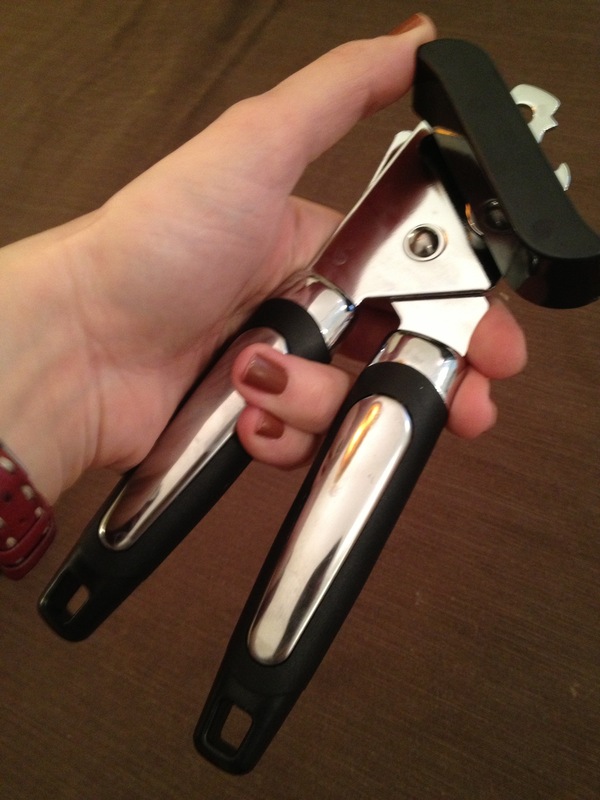 I did snag the lovely–and USEFUL!–can opener above for only $1. It’s a high-quality model which was clearly used very gently, if at all. Itchy trigger finger satisfied, decluttering job intact, and significant money saved. Or, at least, not spent. Last year I gave up soda–specifically Coke–for Lent. That was hard. I am the person at fancy tasting-course dinners that eschews the expensive wine pairings in favor of Coke in the little glass bottle. For years I hid this, my desire to have my palate taken seriously overshadowing my own baser desires. So, now I’m letting it all hang out. Maybe I should write about my love of show tunes, too. Anyway, giving up Coke is not going to happen this year. It’s been a really bad winter–flu, fevers, colds, lots of work–and I’m not up for a food-deprivation Lent. I do, however, believe in the Lenten tradition of sacrifice and self-improvement. So I got inspired when I read this blog post at My Plastic-free Life about giving up plastic for Lent. Since I’ve become more and more interested in frugality, simple living, organics, and minimizing waste, this sort of project seemed perfect for Lent. Giving up all plastic is pretty hard-core. I’m not quite ready for that. I can, however, focus on dramatically lowering my own plastic consumption. So far, I’ve bought a Klean Kanteen reusable stainless steel cafe cup for my hot beverages habit. That’s working out swimmingly. It’s far sturdier than flimsy disposable coffee cups and, when sealed, it’s pretty leakproof and I can even throw it in my bag. I’ve brought metal tiffin containers to restaurants for leftovers–similarly nifty and easy once the habit is established. I have been bothered, however, by the plastic cups that my children use on a daily basis. They’re Ikea children’s plastic cups–not disposable, but cheap, made of plastic, and, frankly, hard to keep clean. Everything in my kitchen goes into the dishwasher or it doesn’t really deserve to live in my kitchen, and, as these cups are aging and getting a little rough around the edges, I’m finding more and more residue on them that survives the dishwasher. Yuck. What, though, is a good alternative? 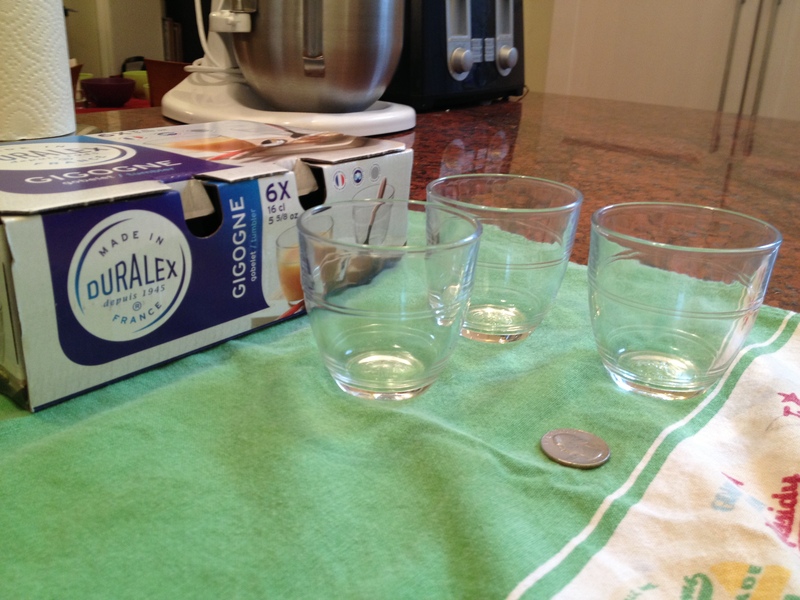 Enter the small Duralex tumblers you see in the pic. Cafe Dada, one of my favorite coffeehouses, uses them to serve water. They’re small and adorable and high-quality and I’ve always admired them. Today I got coffee at the to-go counter and saw boxes of them for sale at the register. Eureka. They fulfill the trifecta: 1) not made of plastic; 2) suitably appeal to the pretentious yuppie aspects of my personality–i.e., high quality and aesthetically pleasing (even made in France, natch); and 3) reasonably priced. The fact that I was able to buy them locally was an added bonus. I’m looking forward to seeing them in action. I think my kids will enjoy them. I’m also looking forward to using them for myself, because it makes me feel good to have a classy vessel free of plastic chemicals in which to imbibe my favorite corn syrup-and-caramel-color concoction.